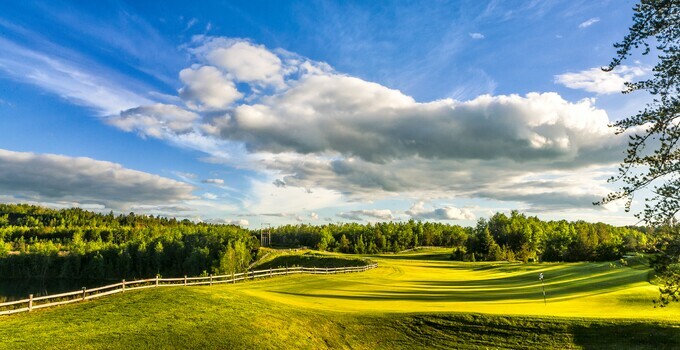 Congratulations to The Quarry course at Giants Ridge – Minnesota’s leading golf resort set in the rugged beauty of the Mesabi Iron Range – on being named to Golfweek’s list of “Best Resort Courses” in its just-released 2019 Ultimate Golf Guide. The annual list of the country’s 100 best resort courses is determined by Golfweek’s elite team of course raters, which currently boasts more than 850 evaluators. Each year, the raters survey more than 3,600 layouts, grading each nominated course on the basis of Golfweek’s 10 strict standards of evaluation. The Quarry ranked 46th on the prestigious list. Earlier this year, Giants Ridge received an “Editors’ Choice Award” from Golf Digest in the “Best Golf Resorts in the Americas” category. Its two championship courses – The Quarry and The Legend – rank among the top in the state. Although both designed by renowned course architect Jeffrey Brauer, each course features a unique layout and character. The aptly-named Quarry, built on the site of a former sand quarry and iron ore mine, has consistently earned a spot on Golf Digest’s bi-annual list of “America’s 100 Greatest Public Courses” since 2005. Additionally, The Quarry was rated the “Best Course You Can Play” in Minnesota by Golfweek for the fourth consecutive year. As its name implies, The Legend offers flat-out legendary golf. Carved out of the Superior National Forest, the player-friendly resort course plays through towering pines and alongside glittering Sabin Lake. Offering unbeatable value and 36 thrilling holes, Giants Ridge, managed by Billy Casper Golf (BCG), has long been considered one of Minnesota’s best golf destinations. In addition to Golfweek and Golf Digest honors, Giants Ridge and its courses have received accolades from Golf Magazine, My Golf Spy, WorldGolf.com and Golf Advisor.